armorbearers to come alongside church leaders in fervent support, prayer, and spiritual protection. His best-selling, multi-volume work, God’s Armorbearers, helped to pave the way for the Holy Spirit to perform a swath of kingdom work in churches around the world, unencumbered by distraction or attack. Heaven alone knows how many deliverances, healings, and salvations were made possible because of the valiant efforts of local armorbearers inspired and instructed by Terry’s prophetic voice. As with any prophet worth his salt, however, time spent in prayer and fasting eventually leads to the emergence of a fresh message and calling, and the man of God must once again issue a clarion call of truth to those who will listen. 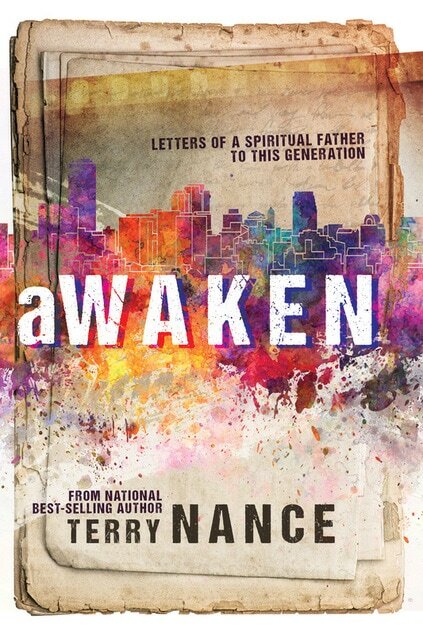 With painstaking love and passion, Terry Nance has penned a series of letters from a spiritual father to the next generation of church leaders, urging them to stir the kingdom of God into action by raising the standard of holiness and compassion in ministry. This call is vitally important for the future of the kingdom of God. Today’s world is besieged by compromise and corruption. Unfortunately, things are not much different within the church. We have lost the moral high ground. We have sullied the gospel message with greed and ambition. We have jeopardized the work of the Holy Spirit with pride and ego. When a bruised and battered world looks to the church for answers, do they see anything different? A recent Pew Study on America’s changing religious landscape identified a growing group of young people that they identified as “nones”—the religiously unaffiliated. The study indicated that as many as 1 in 3 young people fall into this category, compared to 1 in 10 for those over 65 years of age. While some have lamented this fact, I see opportunity. These “nones” are not atheists or agnostics. When it comes to religion, they are simply nothing—free agents, so to speak. They identify as “spiritual but not religious.” They have not rejected God, only the stale, powerless, and flawed example of the church. They are ripe for an authentic, power- laden, no-nonsense encounter with the living God. In many cases, however, the methods and means of the past will not connect with this group. There needs to be another great awakening! Just as the last century saw the raising up of missionaries to go into the far reaches of the globe with the Word of God, this century will need a new type of missionary. We need a new generation of young believers to go into the cities, universities, and workplaces of the “nones” with the same zeal and passion that led young men and women into the tents and huts in the dark corners of the Third World in the nineteenth and twentieth centuries. Terry Nance knows that for this to happen, this next generation will need to avoid the mistakes and pitfalls of the generation before them. Like the missionaries of old, they will have to go out as kingdom servants, not as empire builders. They will need to accurately reflect the radical love of Jesus. They will need to raise a banner of honor and holiness that does not condemn others, but instead, invites them to participate in a new and better way of living. I can think of no more important message and vision for he future of the church than this one. To those of my generation, I urge you not only to read Terry’s letters but to pass them on to a new generation thatdesperately needs them. These letters may not be addressed to you, but I’ll bet you know someone who needs to read them and become inspired. To those of you in the next generation, I urge you to view Terry’s letter as addressed specifically to you. God has used letters to spread His Word before; perhaps He will do it again. You may think your time is far off in the future. I say your time may be beginning and that time is now. Allow yourself to ask “what if….” Allow yourself to dream. Allow yourself to be moved by the Holy Spirit. Remember that the prophet Samuel was probably only twelve or thirteen when God called him into service. Scripture tells us that “the boy Samuel ministered to the Lord before Eli. And the word of the Lord was rare in those days; there was no widespread revelation” (1 Samuel 3:1). Several times the Lord called Samuel, but having never heard God before, he believed it to be his father Eli’s voice. The third time the Lord called Samuel, it took the wisdom of Eli, an elder, to realize that it was God’s voice the boy was hearing. Eli said to Samuel…“if He calls you, that you must say, ‘Speak, Lord, for Your servant hears.’”…Now the Lord came and stood and called as at other times, “Samuel! Samuel!” And Samuel answered, “Speak, for Your servant hears.” (verses 9–10) At time when the word of the Lord seems to be rare and widespread revelation is hard to find, allow the voice of an elder, Terry Nance, to awaken you to the Lord’s pleading voice. You will be able to say, Speak, Lord, for Your servant hears.” Then, as with Samuel, God will change the world.